Indigo Reiki™ blends the energies of Reiki and the color Indigo. I was inspired by Spirit to marry these two energies together, creating a new energy, Indigo Reiki™. Indigo Reiki™ has a very pleasant, tranquil feeling. It feels very much like the qualities that are symbolized by the color Indigo: intuition, clarity, deep contemplation, meditation, wisdom, insight, perception, power, integrity, imagination, inner communication, clairvoyance, self-realization, knowledge and inner vision. Indigo has a Biblical meaning symbolizing heavenly grace. It is known to increase personal thought, profound insights, and instant understandings. 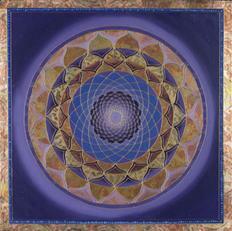 Indigo has a very high vibration, creating almost instantaneously. Indigo is used for inspiration and when there is the need to step outside everyday life for a new way of viewing a challenge. It is the color associated with the sixth chakra, the third eye charka, which provides an awareness of our higher intuition and psychic power. Indigo Reiki™ can help with physical, mental and emotional issues/challenges. It can raise one’s consciousness and awareness. It deepens one’s connection with Spirit. Develop a sense of clarity and inner wisdom. Find solutions to challenges from within. There are three levels of Attunements for Indigo Reiki™. In order to receive an Indigo Reiki™ Attunement, you need to first be attuned to a minimum of Level I in Usui Reiki. The Indigo Reiki™ levels correspond with the Usui Reiki levels, so you need to be attuned to a minimum of Level II in Usui Reiki before you can be attuned to and channel Level II of Indigo Reiki™, and you need to be a Usui Reiki Master before you can become an Indigo Reiki™ Master. An Indigo Reiki™ Master is able to give all 3 attunements to others. Receive Indigo Reiki™ Attunements Worldwide! You do not need to be physically present to receive the Indigo Reiki™ Attunements. Attunements are available by telephone, Skype or email. After receiving the Attunement, you will be able to give treatments to yourself and others. Find out how to receive your Indigo Reiki™ Attunement here. The “Indigo Reiki™” below is the color indigo, which is identified as #4B0082 (Red 75, Green 0, Blue 130).